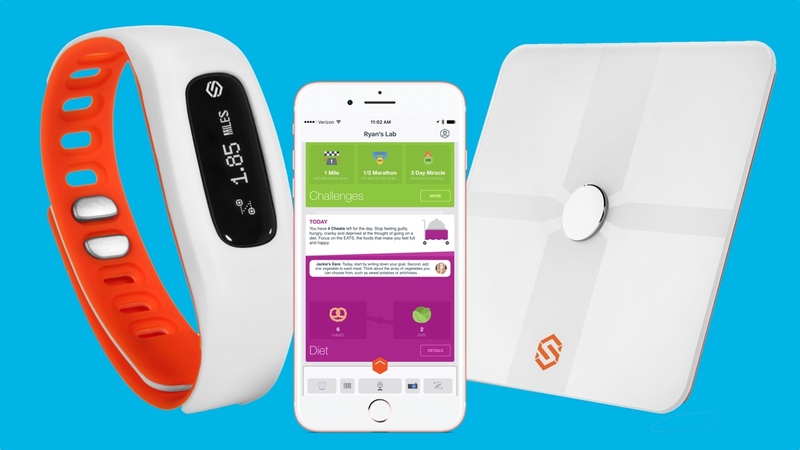 When we first heard about Styr Labs, the US-based startup was taking a unique approach to bringing your fitness tracker and diet closer together. Now it's back and this time it's looking to artificial intelligence and Alexa integration to solve one of the biggest issues faced by fitness-focused wearables and that's tracking your food. It's still using its fitness tracker, smart bottle and wireless scale to deliver multivitamin and protein blends, but now through its refreshed ecosystem, users will be free to have Alexa log food items and even be given recommendations on healthy meals to tuck into. The new image capture technology available in the Fitbit-friendly companion app (iOS and Android) using your smartphone camera to capture the location, time, and detailed macro and micro nutrients of your meals. Styr Labs founder Sergio Radovcic explained how he feels this smarter approach can drastically improve the way we track our meals. "Food logging, in isolation, is a bit of a futile exercise," he said. "It's always historic, because you're never going to log what you're about to eat, and it's somewhat guilt-loaded, which can lead to inaccuracies. It's a bit like with any wearable device — if you don't have a need to know or a need to adjust, then it isn't really going to make a difference. "We always say we're better as a service, because if you're just there for food tracking, then so what, there's 50 other apps that can just log and do nothing else. You don't need something to tell you if you're out of shape, often these things already tell you what you know and won't give you that push to change." So instead of tedious logging with limited insight, Radovcic explained how the new changes will help users log differently. "We started with 2 million food items, and we looked at that and saw which were the most commonly logged foods," he said. "From there, we built our search around it. So now you wake up in the morning and say, Hey, Alexa, for breakfast I had a bagel and a coffee, and not only are you able to log it, but it's also able to respond with things like, great, that's 339 calories, that's 24% for the day and you have 1300 calories left. "And because we run the whole ecosystem, with the fitness tracker, the smart bottle and the smart scale, this isn't a flat recommendation living in a void. If you go and run for 5km, your calorie allotment inevitably changes." But while Radovcic noted that sneaking Alexa into the Styr Labs setup is a welcome addition that helps users instantly recognise changes to their daily tracking, he also admitted the real developments lie within the so-called 'reverse searching'. "Alexa is great, but I also don't think it's enough," he said. "Where the AI is really powerful is with through this kind of reverse search — you snap a picture of the food items in your fridge or things you've laid them out on a kitchen counter and it can tell you what to make out of it, all set to your dietary preferences and your allergy preferences — that's a big deal." Of course, Styr Labs still operates as a package that involves the app, smart devices and supplements, but Radovcic hinted that the company will now look to move away from the hardware element of its ecosystem and prioritise refining the new software. Trying to convince people to invest in a full package can often be a tough task, so this would appear to be a sensible step. After all, the app can still integrate with the likes of Fitbit to harness biometric basics and turn it into an actionable slice of data for users to chew on. The big question now becomes whether the integrations will continue to flow, and whether those who are used to manually logging can change their habits and enlist the help of AI and Alexa to get the job done properly.